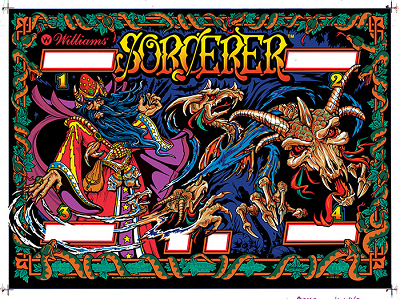 Product: Sorcerer Backglass – Silkscreened w/Mirror! We have the original WMS artwork films for Sorcerer backglass and are are putting it in the production queue for later this year we hope! If interested let us know. It will be silkscreened as original with mirroring on tempered glass.